There are several paths of influence and change that I will follow in this section. The first pertains to the influences over a long period of time that can be documented as important parts of Moravian history. The second pertains to the influences of several unique avenues Tschoop’s life history has taken in the literature. The primary example if that of James Fenimore Cooper’s novel Last of the Mohicans in which he demonstrate a little of the influences of Tschoop, which do not directly relate at all to the Moravian missions in Shekomeko. However, Cooper’s novel brough attention to this important piece of local history, which in turn had influences much later in 1998, following the production of a film by the same name. Each year, people from around the world visit Tschoop’s cemetery site at the Moravian Church in Bethlehem, Pennsylvania. The numbers of visitors to this site are amazing, with estimates ranging in the 10,000s to 1 million or so per year. What is amazing about these visitors is that not all of them know much about whom Tschoop was. It would be interesting to do a survey on these visitors to see how many of them heard of Tschoop or John, how many of them know about his Christian Indian experience, how they view his death as a result of exposure to high infectious disease–a common fate for many American Indians, how much of a global impact the story of the Moravians or the Mahicans might have had, how much of a global impact Cooper’s work has had and whether or not they knew this had a relationship to Tschoop’s life story. What is evident here is that Tschoop’s story for a variety reasons, but usually only one of these reasons at a time, has impacted many people. It is unusual however to find someone impacted by Tschoop’s life story in more than one way, who recognizes that this is the case. The universal change is there, the name recognition attached to this change is not. All of this could ultimately change due to the success of the movie based on Cooper’s novel Last of the Mohicans. Brother John’s influences as Tschoop became global once again in 1992, long after the first printing of James Fenimore Cooper’s book Last of the Mohicans in 1826. This 19th century novel on Mohican Indians was composed during the final years of the Shekomeko missions in Gnadenhutton, Western Territory (now Ohio). It was preceded by Cooper’s Precaution in 1820, and The Pioneers in 1823, in which a tale about woodsman Natty Bumppo was told including events that took place amongst the Delaware Indians. 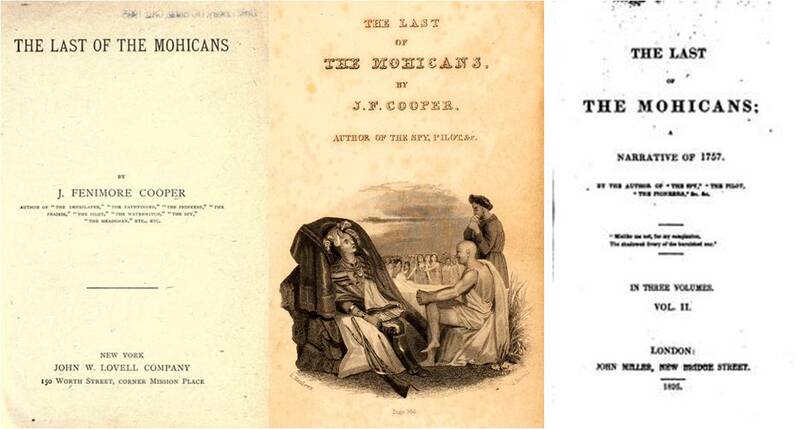 From 1822 to 1826, Cooper resided in the City of New York composing his Last of the Mohicans. The popularity of this book enabled him to move to Europe by the end of the year. He remained in Europe for just a few years, returning to New York to a mansion Otsego Hall, in what is today called Cooperstown. 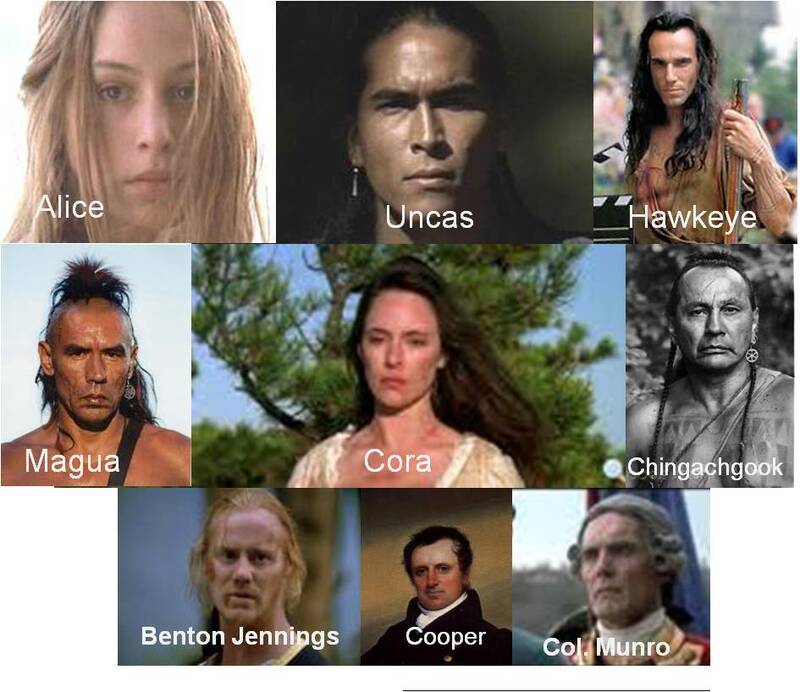 Cooper’s story The Last of the Mohicans was based in large part on the history of the Iroquois and Mohicans in the New York-Connecticut area in 1747. Very few people know and understand the relationship that exists between Cooper’s novel and Christian Indian Tschoop, but all the symbolism is there in the novel and in the movie. Upon first glance, we want to associate Tschoop most closely with the lead character in this story–Nathaniel Bumppo, or as he is called by the Mohicans–Hawkeye, and by the French and the Huron as La Longe Caribene due to his exceptionally long rifle. But by knowing the story, we realize he cannot be Hawkeye, in part because Hawkeye is at least half white, and was symbolically fathered by the elder of the Mohicans–Chingachgook (Unami Delaware for “big snake”). Being an elder, we might wonder if Cooper used Tschoop’s legend to define Chingachgook. For this question as well, the answer is no. According to well informed fans of J.F. Cooper, the son of Chingachgook, Uncas, is the last pure-blood Mohican to be born. Uncas is whom Cooper related his imagery and perception of Tschoop’s “life and soul” purpose to. The symbolism here is obvious, for as we are told by the story, Uncas falls in love with Cora Munro (not Alice Munro, Cora’s younger blonde sister, like we are led to believe in the movie), the dark-haired daughter of Colonel Munro, her father a British Army Colonel at Fort William Henry and her mother a mulatto, whom he had met and married in the West Indies. Following Cora’s capture by Huron Chief Magua, they are escorted along a rocky precipice away from the remaining Hurons fighting the Delawares who were left behind. At one point, everyone stops in the center of the rocky ledge due to Cora’s refusal to continue on. Magua then makes a threat to stab her, but hesitates for a moment. This enables Uncas to catch up with this party and in an attempt to intervene leap towards Magua only to fall face first of the rocky surface, after which Magua stabs him in the back. The warrior next to Magua who is holding Cora then stabs her, after which Uncas rises to his feet to slay her murderer. He is then killed by Magua. Magua then is finally killed by a shot fired by La Longue Carabine, and falls over the precipice. This scene for the 1992 was actually filmed in Blue Ridge Mountains, NC (for more on which see http://www.movielocationsdiscovery.com/2010/01/last-of-the-mohicans.html). Still, Cooper got his inspiration for this story due to the local scenes. Local places like the Catskills, Lake George and Glens Falls all played into Cooper’s novel preparation beginning in 1825 (see http://en.wikipedia.org/wiki/The_Last_of_the_Mohicans). Cooper’s sources for the story included the writings of Heckewelder, Charlevoix, William Penn, Smith, Elliot, Colden, Lang, Lewis and Clarke, and Mackenzie. During the winter of 1825/6, Cooper wrote nearly his entire book in Astoria, on Long Island, just opposite of Blackwell’s Island, in Hallett’s Cove. Messrs. Carey & Lea of Philadelphia published it in 1826. The popular 1992 American movie on this story The Last of the Mohicans starring Daniel Day-Lewis, was preceded by The Last of the Mohicans (1920) starring Wallace Beery, The Last of the Mohicans (1932) starring Harry Carey, The Last of the Mohicans (1936) starring Randolph Scott,and Last of the Mohicans (1963) starring Jack Taylor, Jose Marco, Luis Induni and Daniel Martin. In 1920, this film was deemed “culturally significant” by the Library of Congress and was preserved in the United States National Film Registry. Likewise, it helps to note that Cooper’s novel version of this tale ends with a lengthy account of the funeral services held for Uncas and Cora, at which the Lenni Lenape sing a song that tells us Uncas and Cora will marry in their afterlife. Hawkeye does not believe this. He then goes on to renew his friendship with Chingachgook. A number of foreign directed versions of this story were produced as well, including Der Letzte der Mohikaner, with Béla Lugosi as Chingachgook, the second part of the two-part Lederstrumpf film released in 1920 in Germany, and a related movie in East Germany in 1967, based on the same series of the novels, named Chingachgook die Grosse Schlange (Chingachgook the Great Serpent), which starred Gojko Mitic as Chingachgook, highly popular across the Eastern Bloc of Europe. To demonstrate the influences of this movie on the Tschoop-Moravian history, we need only review some of the notes of recognition posted out there about this on March12, 1998 (see original at http://www.mohicanpress.com/wwwboard/messages/3472.html). This is the evidence for the global impact of Tschoop on people long after his departure, at a local and national level personally, and at an international or global level impersonally. In light of Bill’s query regarding the Moravians of Bethlehem claim that one Indian named Tschoop (buried in God’s Acre Cemetery) was the real Uncas, I did a bit of research. What I found out is interesting. It turns out that Tschoop was a Mohican chief from Dutchess County, New York. Dutchess is in the Hudson Valley, historical region of The Last of the Mohicans. More importantly….. it’s where Rich and I lived for years before moving to movie Mohicanland! Tschoop’s village was in my former back yard. In 1740, Tschoop and another Mohican chief, Shahash, invited Moravian missionary Christian Henry Rauch to Dutchess County to preach. He did, and the two chiefs were converted to the Moravian faith. One of the first Moravian missionary settlements was thus established at Shekemeko (present day Pine Plains, NY). Shahash later went to Bethlehem, Pennsylvania where another Moravian settlement was established. Tschoop may have removed to Bethlehem as well, as Shekemeko was attacked and harassed repeatedly by Calvinist neighbors and colonial officials. The Mohicans and Moravians both were ever suspected of harboring French sympathies. The Mohicans were known to look favorably upon the Jesuits, who had left a positive influence upon the Mohicans. Ironically, the Jesuit influence indirectly led to the Mohicans and Delaware being hospitable and interested in the Moravians. The Moravians were under suspicion because they were not Calvinists and were viewed as being “too Catholick”, which was not merely a stigma in the English colonies, but a crime! Tschoop’s name was Mohican, he later took the Christian name John. To read a bit more on the history of the Mohicans during the colonial period, and the relentless harassment against Moravians (and Catholics) in the region, go to our History Section for the “Mohicans…. Children of the Delaware”. For an interesting history of Dutchess County, the Mohicans, and the Moravian missionaries, go to the Hope Farm Press link below. We’ll continue to research this Tschoop/Uncas connection. It’s fascinating. And to think Uncas and Shekemeko were so close to our former home……………………. : . It may have been filmed in NC, but it passed well for NYS. : Indeed! One of the many aspects of this great film that snared us was the fact that we lived, once, where the REAL Mohicans lived, and then moved, quite by accident, to where the CELLULOID Mohicans roamed. : We lived, for seven years, in a 1700’s era home, with no furnace, but a great old fireplace! !, in near wilderness on East Mountain, which is part of a little hamlet called Wingdale … directly east of Poughkeepsie on the Connecticut border (near Kent, where the American Indian Institute resides & there is a nice Mohican village set up). We were only a stones throw away from where a historic Mohican settlement once stood, at the confluence of the Ten Mile & Housatonic Rivers. Presently, there is a small reservation near there … of maybe 5 or 6 families, descendants of the Mohicans. : We have lots of photos, maybe we’ll have to put some of them up one of these days soon. with the English, who didn’t appreciate the fact that they were feeding and harboring the “enemy”. The Pequot presence nearly brought war to the Scaticooks. Chris, when are you going back for a visit!?! Thanks for that research yesterday on the Mohican/Moravian connection. Anything more you find out would be of interest. So Tschoop was his Mohican name? Sounded so germanic thought it was his Moravian name. Where do you come up with these historical facts anyways Lainey? You must be tripping over books all the time…..historical treatises, journals, language guides and all…..
: : We lived, for seven years, in a 1700’s era home, with no furnace, but a great old fireplace! !, in near wilderness on East Mountain, which is part of a little hamlet called Wingdale … directly east of Poughkeepsie on the Connecticut border (near Kent, where the American Indian Institute resides & there is a nice Mohican village set up). We were only a stones throw away from where a historic Mohican settlement once stood, at the confluence of the Ten Mile & Housatonic Rivers. Presently, there is a small reservation near there … of maybe 5 or 6 families, descendants of the Mohicans. I found Wingdale on the map, but couldn’t find Scaticook. I was northwest of you, kind of in the middle of Catskill Park at the end of a long dead end road. It was heaven. And I’ll bet it was. There are still some undeveloped areas back there that are gorgeous. : You lived just across the river! What beautiful country this is. Lots of Dutch and French Huegonot settlements in Ulster. HI Folks! I’m another transplanted Mohicanland person who’s gotten interested in the history surrounding the Leatherstocking Tales characters. Cooper posed some really intriguing challenges for anyone interested enough to follow up on his many, many cleverly planted clues to the lives of his characters, and I am convinced that, despite his protestations to the contrary, he based his characters of Chingachgook, Uncas and Natty Bumppo on real people. You can imagine my glee at Elaine’s discovery that the Moravians claim a grave containing Uncas. Also, the information on Shekemeko fits really well with the clues on the early life of Natty Bumppo and Chingachgook. Here’s where it gets sticky, though. According to THE PIONEERS, the 4th book of the Leatherstocking Tales (chronologically, not in order of publication), Chingachgook (Tschoop?) converted and took the name of John Mohican sometime between 1760 and 1790 (the 30 year gap between THE PATHFINDER and THE PIONEERS. He died in a forest fire (possibly the Mount Vision fire?) and was buried on the shores of Otsego Lake in about 1793. I’m inclined to think the Moravian grave might well be legitimate, however, (if not a tourist attraction) and that Cooper may have used some literary license in THE PIONEERS for the sake of the heavy symbolism involved in the burial arrangements of Chingachgook and Major Effingham. Are there dates on the gravestone in Bethlehem? Uncas was the son of Chingachgook and Hist o Hist. He was portrayed in LAST OF THE MOHICANS (the book) as a young man probably less than 20 years old when he was killed by Magua within a couple of months after the historic massacre at Fort William Henry (1757, I think). He was buried in the area of Fort William Henry near Lake George. Of course the big irony is that Cooper had Natty himself end up buried out in what is now Wyoming. But to peak the researcher’s interest further – there is a “Pathfinder” Indian Reservation right at the location where the Pawnee Indians were supposed to have buried Natty Bumppo (Pathfinder being one of the last Indian names Natty went by). First of all, welcome to Mohicanland! Thank you for your post. The intrigue revolving around Cooper’s tales go on and on. Yes, he was clever indeed! There is so much more to “The Leatherstocking Tales” than meets the eye. One can go on researching, exploring, and debating the historic persons and events that Cooper masked so well by his HEAVY application of symbolism. This is evidence of the man’s genius! His primary characters Hawk-eye, Chingachgook, and Uncas; “The Pathfinder” actually doesn’t present a problem because Chingachgook was a true, historic Delaware who was written about by the Moravian missionary John Heckewelder. Cooper is known to have taken his character from Heckewelder’s journal. Tschoop, in all probability, was the inspiration for Cooper’s Uncas, though for allegorical purposes, I assume, he chose a Mohegan sachem’s name. He was a Mohican Sachem from Shekemeko (Chicomico), a village in Dutchess County, NY. He and Shahash invited Christian Henry Rauch, a Moravian missionary, to preach in 1740. He most probably resettled at Bethlehem (est. 1742) after Shahash. The Shekemeko Mohicans and their Moravian missionaries were harassed endlessly, until the majority of them were driven out. (In the New England mindset, one was either Calvinist or suspicious.) Interestingly, Tschoop did take the name John. Perhaps here is where Cooper was inspired to use the name “John Mohican”? One could go off on a totally new path questioning the son/father relationship that Cooper may have been touching upon here. The Moravian cemetery at Bethlehem is not a tourist attraction, so I think there is a legitimate claim regarding Tschoop/Uncas. There remains much debate as to who Hawk-eye was modeled after. Though many claim he is a bit of Robert Rogers, others see him as the personification of many frontiersman. However, when Cooper was a boy, there was a hunter/woodsman/frontiersman who often visited Judge Cooper. I don’t believe his name is known, (though I wouldn’t be surprised to learn it was Nathaniel!) but he’d arrive at the family home bearing game, accompanied by his dogs and his unusually long rifle. He was supposedly an absolute loner as well. This man most accurately fits the Hawk-eye that Cooper created. Cooper’s literary license was certainly applied. You raise an interesting question in regards to the burial arrangements of “The Pathfinder”. I am inclined to believe that his treatment of death and burial was almost always symbolic. In “The Last of the Mohicans” he presents an elaborate, “royal” burial ceremony in the Delaware village. Both Cora and Uncas are laid side by side while the people mourn them (especially the Delaware maidens who wanted Uncas for their husband). Then too Cooper uses a scene at the burial ground that was representative of Plains Indians, not Woodland Indians. The scaffold, as Cooper would have known, was not a burial practice in these woodlands. Is there symbolism to be found in this? I had better stop here. I do think Cooper was a literary genius whose writing is yet to be fully appreciated. Gayle, you say you are a transplanted Mohicanland person. From New York? Now granted, this series of conversations isn’t enough to state something like global influence. It in fact represents pretty much the surprise some people felt once they learned about how much Cooper’s story reminded them of their own roots, and where they once resided. It is the fame of the film that perhaps is going to have more of an influence on people than the book itself. But the connection between these two stories and Tschoop is evident, and once that knowledge becomes more common, more than likely we will see some impacts of these connections on other people as well. Suffice it to say, therefore, that the ultimate message to be distributed (whatever it is or may be), still has to be formed. The logic for making this kind of connection is obvious: Film -> Book -> Bethlehem site -> Tschoop of Shekomeko -> an American Indian with a unique personal, philosophical and spiritual history -> the first Indian to overcome his own limits, to be baptised and to lead his people to a new life -> one of the most famous American Indian converts to have his life taken by small pox, due to this critical life change.